The last chapter in the Game of Thrones saga is nearly here. 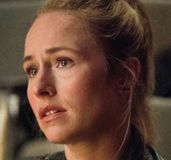 On Sunday night, the final season of the HBO fantasy drama begins, and according to Isaac Hempstead Wright, there might not be anything we can do to prepare ourselves for the epic series’ final run. “I mean, it sounds cheesy, but nothing will prepare you for everything that’s going to happen. 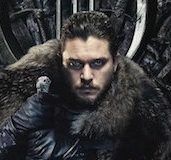 It’s really the pinnacle of Game of Thrones,” the actor, who plays Brandon Stark/the Three-Eyed Raven, told Collider by phone recently. It’s hard for fans to believe the show — which is at the height of its popularity — is ending, but no doubt even more so for Hempstead Wright and his TV sisters Maisie Williams (Arya Stark) and Sophie Turner (Sansa Stark), who literally grew up on the show, returning to the Belfast set year after year (except the season Hempstead Wright was off). 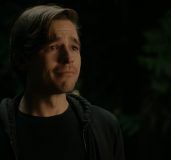 And knowing they’ve been a part of such a critically acclaimed, well-received drama that has impacted fans’ lives, too, isn’t something lost on the actor in these final weeks before the show’s end. “It’s quite a unique and amazing thing to be a part of and one that I’m infinitely glad and grateful to have ever been involved in,” he said. 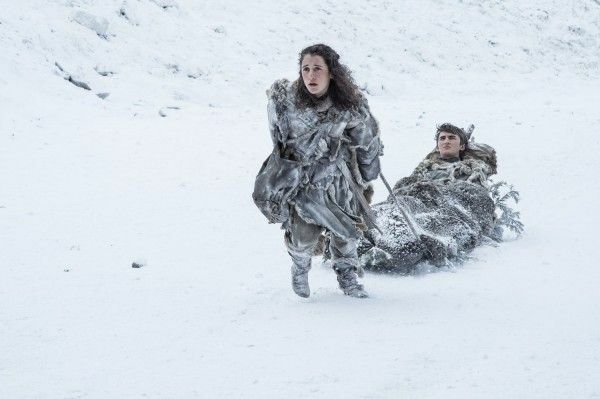 When asked which of Bran’s scenes he saw as most iconic from the series, Hempstead Wright pointed to that moment. 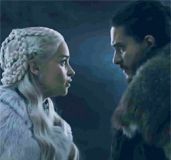 “In terms of just one of the key scenes in Game of Thrones, it’s got to be the push out the window,” he told Collider in New York, ahead of the Season 8 premiere. 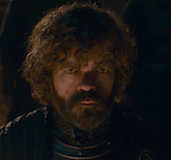 Bran didn’t die despite Jaime’s efforts, but the attempt on the little lord’s life caused all sorts of chaos and led to a second murder attempt (with a Valyrian steel dagger, which Arya now uses), Bran losing his ability to walk and Catelyn Stark taking Tyrion Lannister prisoner. As the series continued, Bran began to learn how to warg, was forced to flee his home, went on a journey beyond The Wall, saw the Night King, lost his beloved protector Hodor (Kristian Nairn) and eventually, had the history of Westeros downloaded into his brain as he became the Three-Eyed Raven. Although he returned home to Winterfell in Season 7, Bran explained to Sansa that he’s not able to be the Lord of Winterfell as she suggested. Now, he’s the Three-Eyed Raven and can see the past and present of Westeros. Hempstead Wright explained what went into crafting this version of his character last season. What we’ve seen so far in his interactions with his Stark siblings (and the late Littlefinger) has definitely shown him to be a mysterious and intriguing character, but he’s also one who’s still learning and doesn’t have every bit of Seven Kingdoms history committed to easily-recallable memory. “It’s like he’s got a big book that he can look up any part of history. He hasn’t memorized the whole book yet like the previous Three-Eyed Raven may have done,” Hempstead Wright explained of Bran’s abilities. “And I actually think that was the very first scene or the second or third scene I filmed in Season 7, and so it was kind of … straight in at the deep end, but we had a lot of fun with it. It’s a lot of great dialogue for both of the characters,” he said of shooting that moment with Bradley as Samwell. 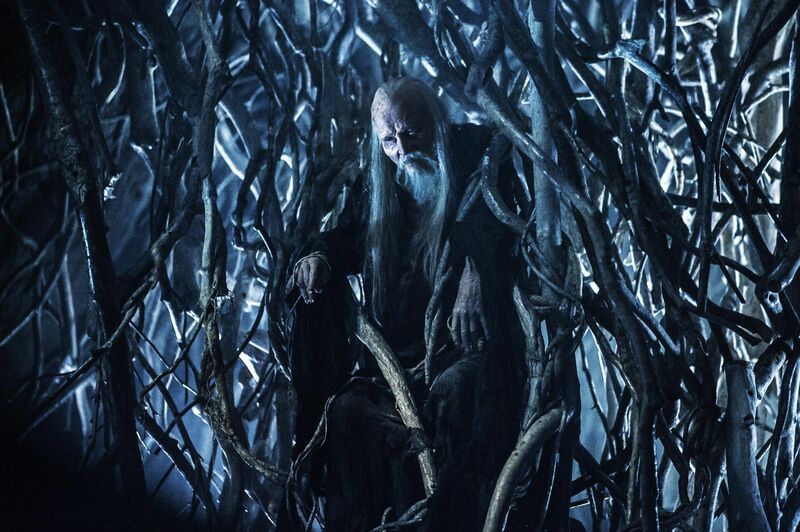 We’ll just have to wait and see if there are more epic-style reveals to come from Bran/The Three Eyed Raven in the episodes ahead. 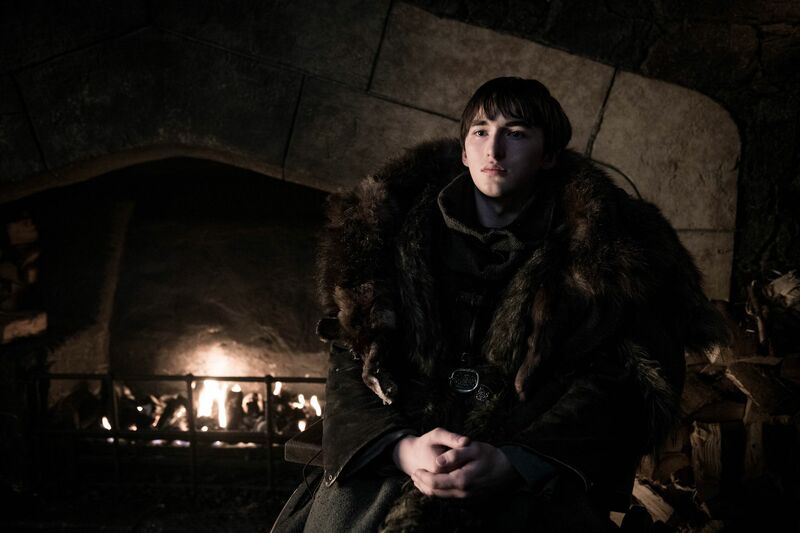 With all the secrecy surrounding the final season, how Bran – or any of the characters – will play a role in the “Game’s” conclusion, is still shrouded in mystery, at least until the May 19th series finale. Asked if he’s figured out his plans for the day after the last show airs, when he no longer has to keep those plot secrets, Hempstead Wright said he might turn to Twitter. Game of Thrones returns April 14th on HBO, with the series finale airing May 19.